Denne model er 170 cm og bruger en størrelse S. Brystet måler 91 cm og taljen 66 cm. 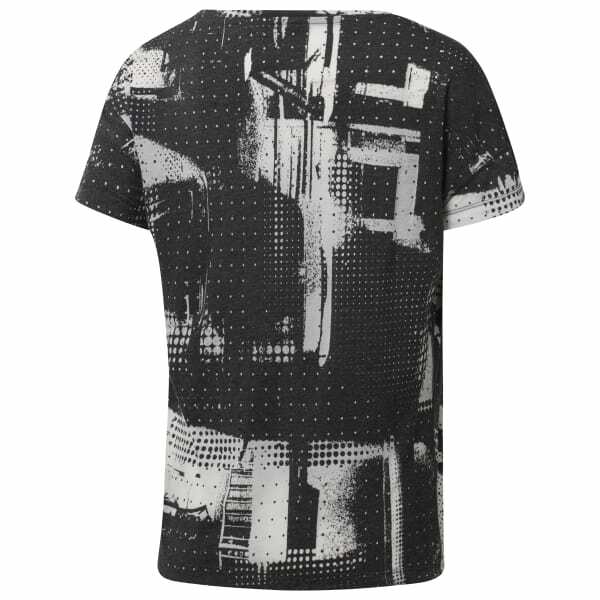 Modern style meets breathability in this tee. Speedwick moisture management fabric zaps sweat to keep you dry and burnout fabrics encourage airflow while you move. The slouchy silhouette does double duty as both casual style and gym gear.